Folk troubadour Bob Dylan is coming back to Binghamton. The legendary musician will roll into Binghamton University‘s Events Center for the second time. He performed one of the first ever concerts at the Events Center in November of 2004. Dylan is scheduled to perform on Nov. 17 at 8 p.m. Tickets go on sale Oct. 9 at 10 a.m., with a pre-sale commencing at 10 a.m. on Oct. 5. Magic City Productions, an Endicott-based promotions company, is accountable for Dylan’s Events Center date. The SA was not involved with the planning or monetary backing of this Fall concert. The “Never Ending Tour” has become a appropriate name for Dylan’s ceaseless tour schedule since June 7, 1988. 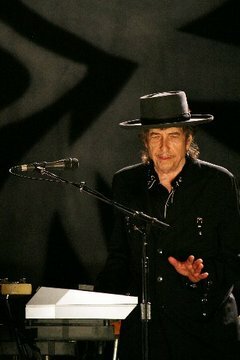 Dylan has performed with several musicians over the past 20 years for the around 100 shows he plays each year. Dylan, who turned 69 in May, will release a new album of his earlier demo work on Oct. 19 this year. The album, “The Witmark Demos: 1962-1964” will include 47 demo recordings. Dylan is perhaps best known as one of rock music’s first musical activists, blending civil rights and anti-war messages into his powerful lyric. His raspy croon has become a staple in the broad history of rock. Dylan has transcended both time and genres, arguably succeeding in playing everything from blues to country to jazz and swing. Most recently, he released his 33rd studio album, “Together Through Life” in April of 2009 and his 34th, “Christmas in the Heart,” a Christmas album, in October of the same year.